The New Daraz App has Millions of Products and Knows Your Choice. This invitation is addressed to you, the user. Just like the new Daraz app is. Addressed to your personal preferences and priorities. 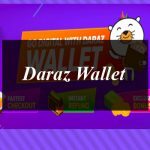 What: The New Daraz APP is here, along with brand new features, software and algorithms built from the ground up to ensure every user’s journey through the APP is easy, secure, and personalized. Why: Search. Find. Shop. Discover some more. Top-up your phone. Make a selection from the daily Brand-Vouchers to get discounts. Visit the app’s verified Official Stores and follow your favourite brand for updates and special offers. Keep an eye out for the Daily Flash Sales. Add your favourite products to your Wishlist and be notified of discounts. Access Collections specially curated by the app for your eyes only! The new Daraz App has products Just for You; it has more of you in it: your tastes, interests and likes. It is your constant guide in product-hunting and inspiration-finding. With the help of brand new algorithm-assisted features, shopping on the new Daraz APP isn’t just about searching ‘for’ a product, it’s about searching around that product too. Every search is a discovery waiting to happen! Come for the products; stay for the possibilities. Where: The palm of your hand. The tips of your fingers, your daily commute, your lunch-break, wherever you are, the APP is. How: Just open your Daraz app on the 29th of September, tap upgrade and you’re done. For those who don’t already have the app – go to the Playstore/App Store, download the Daraz app and you’re done!